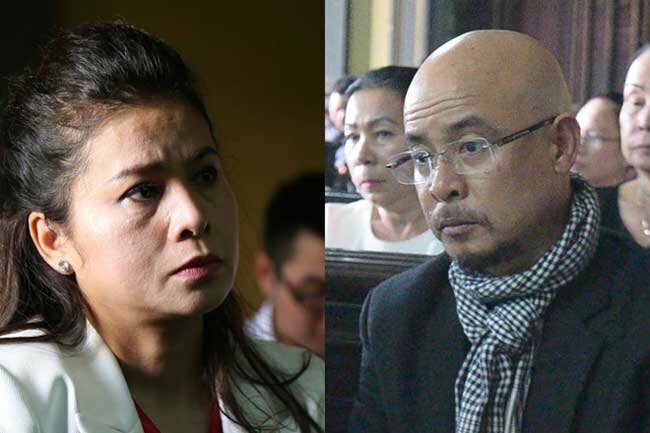 The HCMC People’s Procuracy has lodged an appeal against the lower court verdict in the divorce case between Dang Le Nguyen Vu, founding chairman and general director of coffee giant Trung Nguyen Group, and his ex-wife, Le Hoang Diep Thao. The procuracy has pointed out shortcomings in the court’s ruling in the case and proposed that the court reverse its ruling. Accordingly, the ruling did not state correctly what a representative of the HCMC People’s Procuracy had expressed at the trial on March 27. The court was deemed to have violated the 2015 Civil Procedure Law, while addressing Vu’s counterclaim. Specifically, on July 18, 2016, Vu appealed against the division of cash and gold deposited at Vietnam Export Import Bank, Bank for Foreign Trade of Vietnam and Bank for Investment and Development of Vietnam. However, the court did not check documents detailing the assets, but included the job during the trial, and did not seek Thao’s consensus. Further, the total value announced by the court of Vu’s and Thao’s assets in seven companies of Trung Nguyen Group of VND5.737 trillion (US$247.4 million) is inaccurate. It must be VND5.655 trillion. Therefore, the amount divided between Vu and Thao, the balance that Vu has to pay Thao, and the court fees are all incorrect. It is also unreasonable to conclude that the division of the group’s shares will cause difficulties in the effective operation of the firm. The court’s decision to split the couple’s shared assets in Trung Nguyen 60:40 in Vu’s favor, and ask Thao to sell all her shares in the company to Vu, possibly violates the Enterprise Law. It is beyond the jurisdiction of the court to force Thao to receive cash, instead of shares. The verdict has also taken away Thao’s rights and benefits, in line with the Enterprise Law and Trung Nguyen Group’s own rules. Further, it is not within the court’s purview to set the value of Trung Nguyen’s assets. The lower court failed to take into account the value of Trung Nguyen brand when it came to splitting the company’s assets between the two, according to the prosecution. Additionally, the court’s ruling that Vu would have to pay child support of VND10 billion per year for their four children until they graduate from university did not match Thao’s expectation, hindering the enforcement of the judgment.